Do you regularly experience a stiff, painful jaw or migraine headaches? Do you ever unconsciously grind your teeth or have mysterious neck and shoulder pain? If so, this could all stem from a strained or misaligned TMJ, or temporomandibular joints. These are the small hinges on your lower jaw that allows it to move fluidly when you eat, speak, laugh, or yawn. Should the resting position of these joints differ from your teeth, this can cause muscle tension that leads to all the symptoms we mentioned above. Fortunately, Dr. Pate is able to diagnose and treat these kinds of issues (called temporomandibular joint disorders or TMD) right in our Buckhead office. To learn more and start getting pain relief today, contact us to schedule an appointment. TMD is usually caused by either an injury to the jaw, strain, arthritis or a misalignment between the jaw joints and the teeth. This can make it very painful to move the jaw, and this muscle tension can actually radiate to different parts of the body, which is why TMD is often the source of migraine headaches. If you exhibit any signs of TMD, Dr. 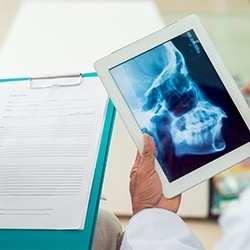 Pate will use a few visual tests as well as advanced imagery to determine the root cause of your pain, and from there he can recommend the appropriate treatment. When the resting position of the jaw joints (how they are positioned when your mouth is closed) conflicts with the occlusion (how the teeth come together), this can cause a person’s bite to become misaligned, putting a tremendous amount of pressure on just a few teeth, creating oral pain. With an equilibration/occlusal adjustment, we can find these high-pressure spots and gently reshape your teeth to help them come together smoothly and without discomfort. 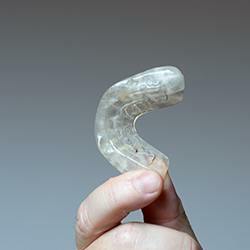 This is a custom-made mouthguard that slightly repositions the jaw in order to alleviate the symptoms of TMD. 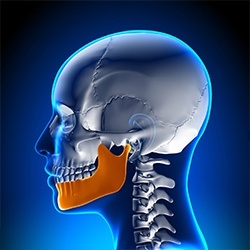 A patient will only need to wear it to bed, and often, the jaw is eventually able to find this “new” position on its own after just 3 months of therapy. However, some patients need to wear the appliance continually in order to keep seeing results. 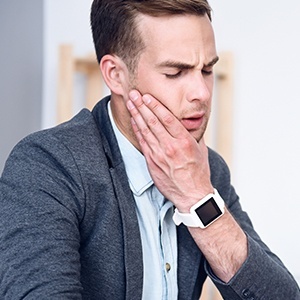 In addition to realigning the jaw, it can also act as a protective barrier to prevent unconscious teeth grinding, which is a very common side effect of TMD.